Carlow Castle is located near to the River Barrow in County Carlow. It was built between 1207 and 1213, and is a National Monument of Ireland. 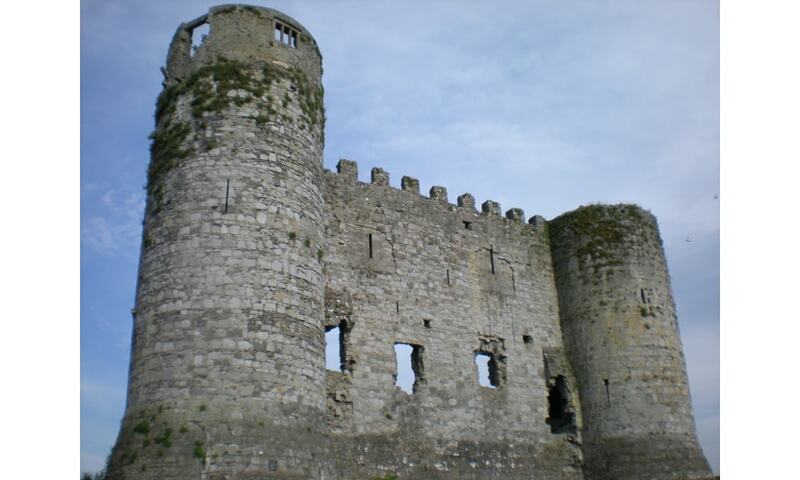 The castle in Carlow was the very first of its kind in Ireland, a towered keep, where a huge rectangular tower is surrounded by four smaller three-quarter-circular towers at the corners of the rectangle. In 1814 the castle was widely destroyed in an attempt to create more space for the conversion into a lunatic asylum with the help of explosives. Just the outer face of the west wall and the two neighbouring towers could be preserved.